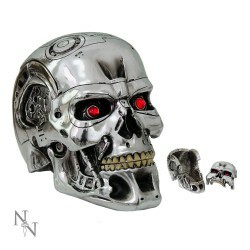 Terminator - Master of Arms LTD.
Official Terminator skull box. 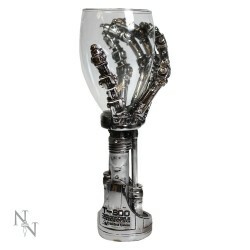 From the Nemesis Now licensed Terminator products. 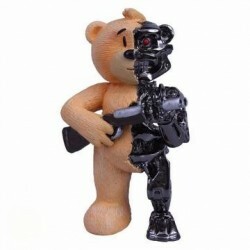 Taken from the original 1984 film. It's not obvious that the 1kg skull comes apart so a great place to store valuables. Closes with magnets. 14 cm tall (5.5 inches).